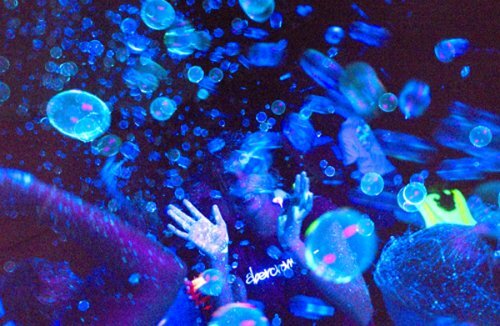 Party themes glow party, neon party and black light party. 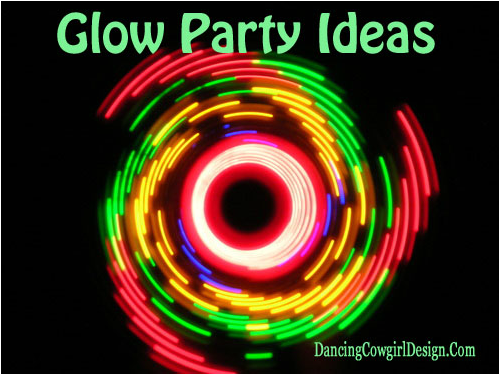 Find ideas for having a glow in the dark party with black lights and neon decorations. Photo booth back drop for glow party. Neon color party props and supplies for the table. Glow birthday party, 70's, 80's party, Halloween and other party ideas and supplies for glow in the dark party. There are very few party occasions when you can't use a glow in the dark theme. You can just have a black light alone to add to the atmosphere of any party whether you decorate further or not, After that the possibilities are limitless. You will find black lights and party ideas for 60's, 70's and 80's themed parties as well as birthday party ideas. Glow in the dark for Halloween and other party themes using neon and glow in the dark supplies. In order for all of your decorations so show up brightly you will need to have a black light or two in the area where you want things to glow. You can do this with either the long tube style black lights or with black light bulbs. This is a 24 inch black light that comes with the bulb and fixture. It has a 6 foot power cord. Black lights also come in bulb style so that you can use them in your regular light fixtures. If you put this in a lamp, I would suggest taking off the lamp shade for the maximum use of the bulb. My first memories of the neon party theme came from the late 1960' and 1970's when the show Laugh In was on the air. I thought I would use that as my first idea for a party. I could't find a clip of the original, but I did find a clip from Mad About You where there is a dream scene that takes them right into the Laugh In Party Scene complete with many of the original characters from Laugh In. Take a look at this. I think this would be lots of fun. Peace signs, flower power and smiley faces were all around and tie dye was cool. Use some of these symbols for your decorations. Use scene setters and backdrops for a place that you guest can take pictures or use them anywhere for a big glow in the dark focal point. This groovy scene setter kit comes as two large pieces that are 32 1/2 x 65 inches . They can be used indoors or outdoors. There are 42 retro cutouts per pack. Assorted peace sign, flowers and smiley face designs in neon colors. 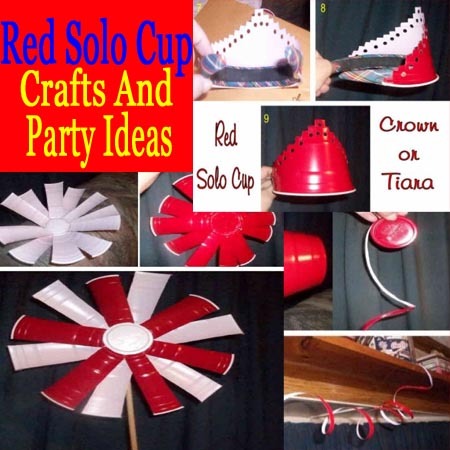 No cutting involved and the kids will enjoy help to make the party decorations. Hang them on the wall or hang them from the ceiling with a tack and clear fishing string. For signs and banners use neon poster boards. A few of the saying from the 60's and 70's on cutouts. There are 4 in the package, but they are printed on both sides. You could dangle these from the ceiling to see both sides or pick you favorite side to hang on the wall. Neon colored poster board is good for making some of you own signs or other cutouts. This pack comes with 5 sheets that are 22 x 28 inches and you get one of each color in Neon red, canary, orange, green and pink. Cut out the letters of the birthday persons name. Make cut outs using simple template shapes like stars, flowers or other shapes that go with your theme. Add a fluorescent touch to your decorations with tape. For example, you could wrap a stripe of tape around your drink cups or decorate a vase for the table. This scene setter comes in 5 pieces. I know that sounds like a lot to hang to get the whole picture, but in a way that is good because you could use it with or without the HAPPY BIRTHDAY section. You could also uses the pieces in separate areas. There are 2 large pieces 32 x 59 inches. One 44 1/2 x 59 inch piece and 2 of the 10 1/4 x 16 inch pieces. Who doesn't love black light posters? They come in all types of designs other than this Happy Birthday style. These are printed with fluorescent black light reactive inks on flocked velvet. The size is approx. 23 x 35 inches. These 11 inch latex balloons come in assorted black light reactive colors. They only glow in the dark when there is a black light. You can push a glow sick into a regular balloon and blow it up as usual. 80's party backdrop in neon colors is great for a wall decoration or photo backdrops. It comes in two pieces. It will be 65 x65 inches when both pieces are up. Don't forget that in most cases the term glow in the dark refers to how something reacts under a black light. Glow sticks and similar items that light up will show up well without a black light. Use glow stick in the dark without a black light. These will last for up to 8 hours. Glow sticks come with connectors to make them into bracelets. Glow sticks and LED light sticks come in other sizes. This is a 10 oz bottle of bubbles that will glow blue under a black light. There are 3 different ways that I know of to make water that will glow in the dark. This video shows 2 ways. One is using tonic water and the other is made by taking the ink from a highlighter marker. You can also make a glowing vase of water that will glow without black lights by adding a glow stick to it. Either of these techniques can be used to make party games like black light bowling or glow in the dark ring toss using water bottles. You can make a dramatic centerpiece for the table or tables at your party with glow in the dark flowers. It's really easy to do, here are the instructions. There is always something to drink at a party, sometimes there is cake and other food. You can dress up any or all of that at your party with neon colors. There are candles, silverware, plates, cups, shot glasses and straws that will look great under black light. This is the set that was used for the picture above. It has bright neon colors that will look good as they are but will glow when used around black light. This set comes with 158 pieces that includes 2 sizes of drink cups, 2 sizes of plates and plastic cutlery. 48 piece cutlery set 16 forks, 16 knives and 16 spoons. The plates shown here are 6" plastic that come in an assortment of neon colors. There are 10 of each color, neon pink, neon blue, neon green and neon orange. These also come in 9" size. Under normal light this silverware set will be in neon colors and will get the glow like is shown in the picture when they are used around black light. This set includes 16 of each, forks, knives and spoons. A shot glass may be your only party essential. Well that and something tasty to go in it. Crank up the black light and play your favorite party drinking games. Here is an example of the Party Essentials brand party cups in neon colors. You can see what they look like around black light. This is the 2 ounce shot glass size, but they do have all sizes such as 10 oz, 12 oz and 16 oz cups as well as short and tall tumblers, wine glasses and margarita glasses. Another fun way to have shots is with shot tubes. They hold 1 1/2 ounces and look like a test tube. These assorted neon colored tubes will glow nicely at a black light party. The set comes with 15 tubes that you can dispose of or wash and reuse. They match all of the other Party Essentials plates, cups and silverware. You won't need a black light for these party cups to glow in the dark. They use glow sticks that fit the rim of the cup. You get 48 cups and glow sticks that will be in assorted colors of green, blue, yellow, pink, purple and orange. These cups comply with the 2010 child safety CPSC requirements. These would be fun for an evening on the patio, to take camping or to any outdoor event after dark. Use these cups for a game of glow in the dark beer pong. My Glow Sticks page has more glow sticks in party packs and in bulk. Another neon touch to add to your party, neon straws that will glow under black light. The come 200 in a pack and are 8 1/2 inches long. ​200 GIGANTIC 8.5" WIDE X HUGE 1/2" OPENING NEON "BLACK LIGHT" Reusable STRAWS. No birthday cake would be complete with out candles and they do come in neon colors. Neon colors with or without black lights are good party colors for many different type parties for kids or adults. If you are a frequent party giver, hang on to what ever you have left from your parties and start a little stash. Things will start accumulating and you will be a glow pro with all the accessories you have collected. These are 32 inch plastic leis that come in assorted neon colors. This size works for adults or kids. 4 neon beach balls that come individually wrapped. There are 2 orange and 2 green balls that are 16" inches deflated and come out smaller than 16" when fully inflated for a medium size ball. Wouldn't it be nice to have a Vegas themed party or casino night with beautiful neon lights that are real. Those are around also, but here are some neon casino cutouts that will give a good glow with black lights. Glow paints are a great way to get a lot of color into your decorations, your clothing and yourself. My page of Glow Paints has every type of glow paint, even a 5 gallon bucket size for large projects. Halloween is a great time to get out the black light, fog machine and creepy sound recordings. An easy way to decorate you home, school or office is with spider webs. This pack comes with 1 of each color spider web that will glow under black light. There is a great looking New Years Eve Party decoration. It is printed to look light neon lights. This 30 inch by 5 foot door cover could also be used on walls or as your photo backdrop. There are coordinating party favors and hats in neon colors to go with this theme.